Elephant balances strength and gentleness, but the main source of her strength is love. Instead of using her strength to exert powers over others, she uses it to keep others from exerting power over her. Her strength shines in her compassion, her self-esteem, and in her levels of endurance. Her faith in her spiritual strength keeps her resilient. The spirit of Elephant is a reminder of what your life’s motivation is, fueling you with the drive and inner-strength to pursue it. Self-control, inner-strength, courage, compassion, love, patience, endurance, vision. 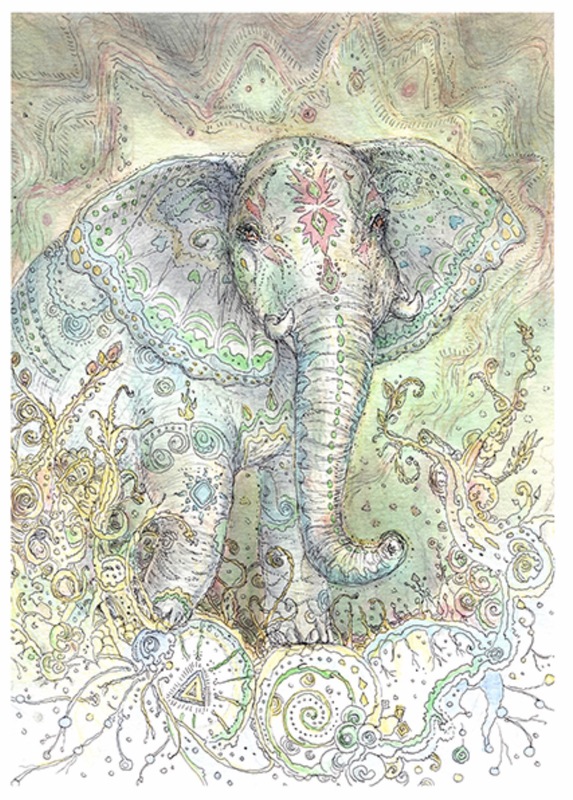 This entry was posted in Artist, Deck Review, Featured Card of the Day, General Tarot, Readings and tagged Elephant, Paulina Cassidy, Spiritsong, Strength, Tarot.